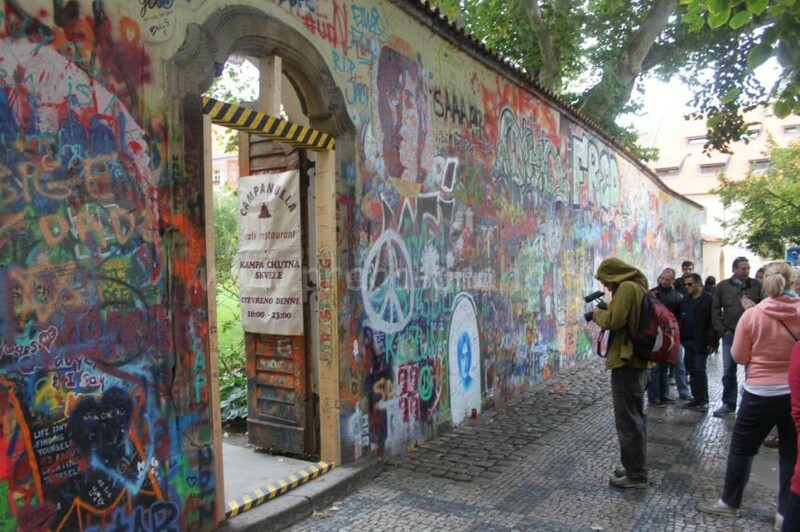 The John Lennon Wall stands in a quiet square among the baroque architecture of Prague’s diplomatic quarter. Lennon was a pacifist hero for the Czech subculture during the totalitarian era. Prague’s John Lennon Wall helped inspire the non-violent “Velvet revolution” that led to the fall of Communism in the former Czechoslovakia. 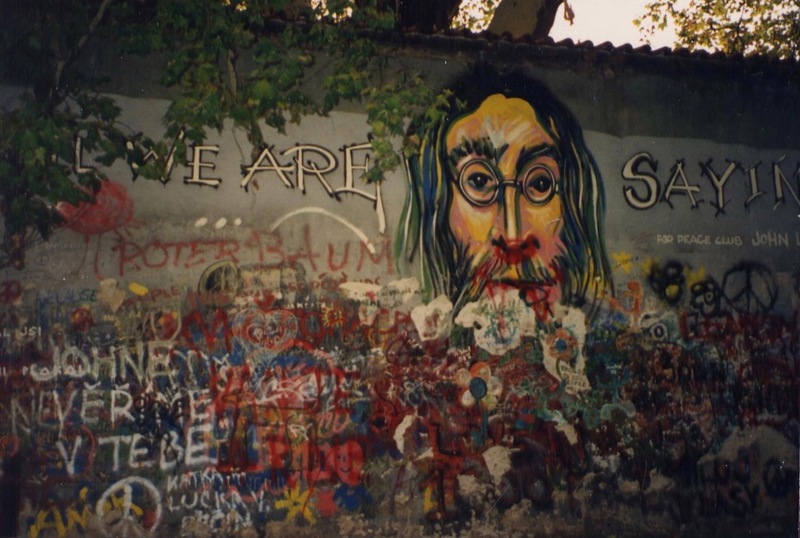 In the decade following the collapse of Communism, the Lennon Wall came to represent not only a memorial to Lennon and his ideas, but also a monument to free speech and the non-violent rebellion of Czech youth against the repressions of neo-Stalinism. Shortly after Lennon’s death in 1980 under supervision of the Communist secret police, an anonymous group of Prague youth set up a mock grave for the ex-Beatle. The event was spontaneous and young people risked prison for what authorities called “subversive activities against the state.” Prague’s mock tombstone was, in fact, a recess within a garden wall that forms the backside of a 14th century churchyard. At the time of Lennon’s death, western pop songs were banned by Communist authorities and some Czech musicians who played the music were sent to jail for the offense. But the threat of prison couldn’t keep people from slipping into the square at night to scrawl graffiti epitaphs in honor of their underground hero. The Communist police tried repeatedly to whitewash over the graffiti but they could never manage to keep the wall clean. 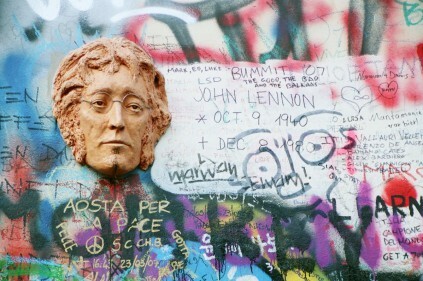 The original painted image of Lennon was soon surrounded by political graffiti and Beatles lyrics, becoming an important part of the non-violent rebellion of Czech youth and a constant source of annoyance for the police, who repeatedly painted over the wall, only to have the graffiti reappear just days later. 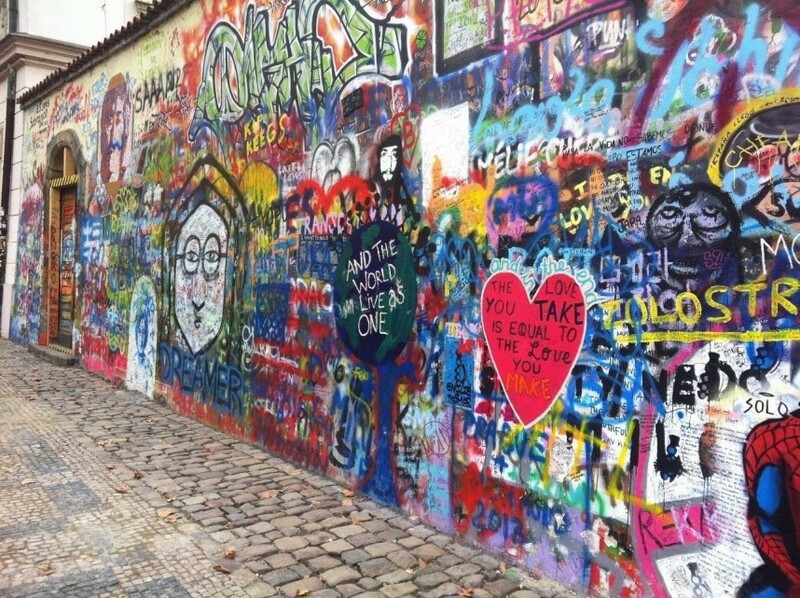 Comments to "John Lennon Wall"